Brainpulse extends it service level agreement to ensure utmost network reliability and performance every time. 100% satisfaction ensured in terms of backup and maintenance. 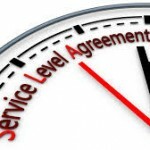 We redefine exceptional levels of performance, reliability, and service with our Service Level Agreement. It manifests our promise to ensure uninterrupted network reliability and performance, along with committed server uptime. Our SLA is designed to take care of all essential components required to maintain a website up and running. In addition to it, it cites our responsibilities to service guarantee we offer. We guarantee 99.9% network uptime in a specified month. The duration excludes the times scheduled for maintenance. On failing to provide 99.9% uptime guarantee, clients may request us for credits. Network uptime ensures ideal functioning of entire network infrastructure including its components counting as routers, switches, cabling etc. It does not cover services and software functioning on your server. We record Network Downtime when you (client) are unable to receive and transmit data. BrainPulse service level agreement ensures continuous backup for all web hosting customers. If our company’s web hosting services cause you any sort of data loss, we held ourselves responsible for that. We restore a full on-server backup (maintained for a month) at absolutely no extra cost. However, this does not include complex backup restoration such as certain file extraction from one source and copying it to another. In case a backup file goes missing and we fail to provide you with any other backup file of comparable usefulness then you request for a full refund of last month's hosting fee. However, if you lose data on the grounds of poor functioning of third party software like cPanel/WHM then the company has the all the rights to refuse all liability for data loss. 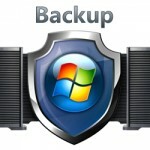 Although we are equipped to maintain backup data, we encourage our clients to create and maintain their own full or partial backups at standard intervals. For this task, clients may use cpanel's built-in Backup Manager. BrainPulse service level agreement guarantees a complete infrastructure systems incorporating power and HVAC systems, UPSs, PDUs and cabling and remain available 99.99% of the time in a given month. This excludes time specified for maintenance. Infrastructure downtime is calculated on unavailability of BrainPulse power and HVAC systems and when a client posts trouble ticket with details on the unavailability of the power or HVAC systems. Infrastructure Downtime will not be considered if it occurs because of problems concerning to power supplies on client’s server. Brainpulse takes full guarantee of frequent monitoring of all the standard services running on the server. The exceptions are the third Party/non-standard softwares (custom softwares / modified softwares) or services functioning through the non-standard (third party / modified) softwares/packages. The company promises to provide smart technical support for all Standard Services via online customer support system in India. Every client at Brainpulse Technologies automatically gets covered by our SLA on buying a web hosting services. However, it remains valid only when we receive full payment prior to the due to date. There is no extra charge levied on our SLA. To request refund, clients must post their complaint to our customer service department within 7 days of a service interruption.